From a small gathering hosting 150 women in 2007 the gemWOMAN Magazine’s annual women’s conference, Body, Soul and Spirit has indeed come a long way. 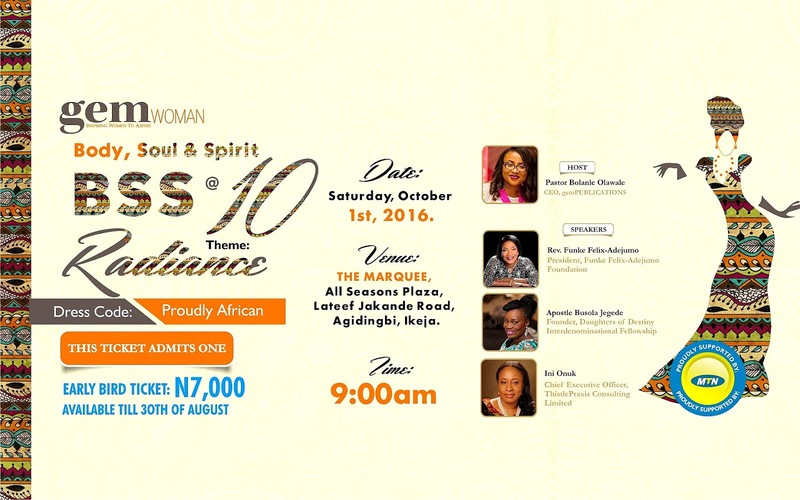 This year, the leading inspirational lifestyle outfit will be celebrating the 10th anniversary edition of the highly sought-after event in grand style. 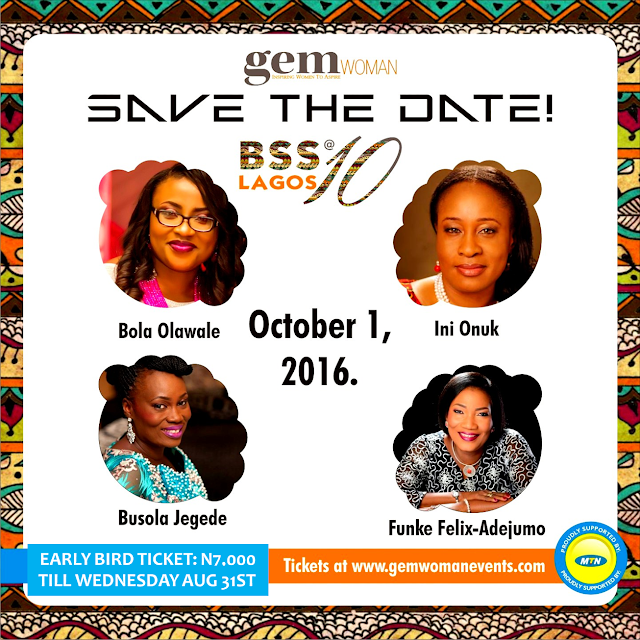 Over the years, BSS has grown in attendance, with 2,500 women attending in 2015 from various cities across Nigeria such as; Abuja, Port Harcourt, Ile–Ife, Ibadan, Akure, Ilorin, Abeokuta, Osogbo, etc. Over the years, we’ve experienced a growing number of women coming from cities outside Lagos. This year, the event will hold on October 1, 2016. The same date it has been holding since inception. The colour theme is ‘Proudly African’ and the theme is RADIANCE. Attendees are expected to attend in dazzling African attire to celebrate the African woman who’s seen as colourful, lively, and immensely blessed. This year’s Body, Soul & Spirit conference would be bigger than any edition ever held with more speakers, more discussions, more music ministers and an overflow of inspiration. Speakers already confirmed include Pastor Pk Olawale, Rev Funke Felix-Adejumo, Ini Onuk, and Apostle Busola Jegede. Venue: All Seasons Marquee, Lateef Jakande Way, Agindigbi, Ikeja.